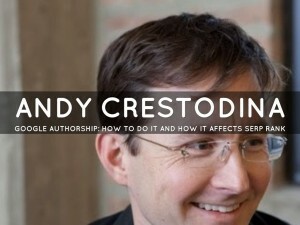 Heads up savvy marketers: add Andy Crestodina to your Google+ circles. By following Andy on Google+ you’ll be keyed into a range of weighty and forward-looking content marketing topics, but one place where he’s carved out a niche as an expert is that SEO-critical and evolving frontier, Google Authorship. Yesterday Andy posted findings that authorship rich snippets are on the rise, showing on about 23% of Google SERPs. If you already know Andy, you know he’s an insightful and prolific contributor to the online marketing industry. 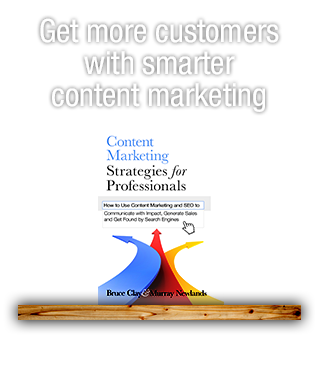 Andy published Content Chemistry: An Illustrated Guide to Content Marketing after thousands of conversations with hundreds of companies in over a dozen years of web marketing. In 100 pages filled with illuminating illustrations, the handbook makes accessible the social, analytical and truly enjoyable facets of marketing online. An illustration from Andy Crestodina’s Content Chemistry: An Illustrated Guide to Content Marketing. How to include testimonials on your site so they make the greatest impact. How to contribute to publications and best optimize your guest content for authorship benefits. How to avoid the most common misunderstanding of content marketing in 2014. BCI: Can you share two or three of your favorite industry blogs? Andy Crestodina: In addition to the usual suspects, lately I’ve been enjoying the Buffer Blog. The “life hacking” tips are useful and it’s nice to see these topics in my usual mix of straight marketing articles. I also like almost anything by Gregory Ciotti. He often connects brain science to marketing, which is is always insightful. 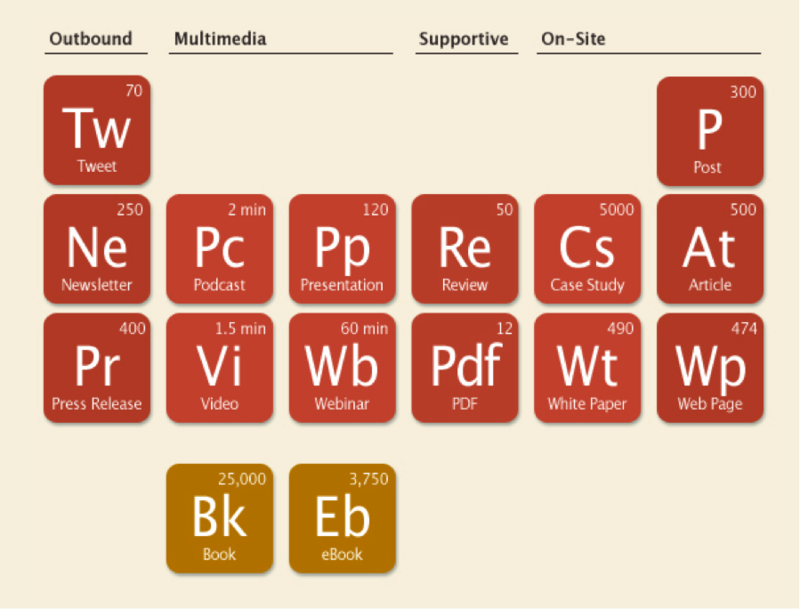 In your book Content Chemistry you describe content marketing as both art and science. Can you give us three actionable tips on how to keep the balance in 2014? Adding “Social Proof” to your website will improve the conversion rate. If you have a product or service page that does not include some kind of evidence that you’re legitimate, you’re missing out on leads or sales. The easiest type of evidence to add is social proof, such as a testimonial quote from a customer. It should be related to the content of the page. Never make a testimonials page. Visitors are unlikely to click on it so few people will see it. (if you have a testimonials page, just check your Analytics and you’ll see what I mean) Social proof is supportive content and it belongs right next to the service or product it refers to. When you say it, it’s marketing. When they say it, it’s social proof. When someone shares something you’ve written on a social network, thank them when you share it again on a different social network. For example, when a follower tweets a post of yours, go share the post on Google+ and mention them with a quick thank you. Now, they’re likely to see the post and +1 it there. You already know they liked it, right? This is a way to expand your social network by jumping across social networks and bringing people with you. This is a biggie. Nothing drives traffic like search. 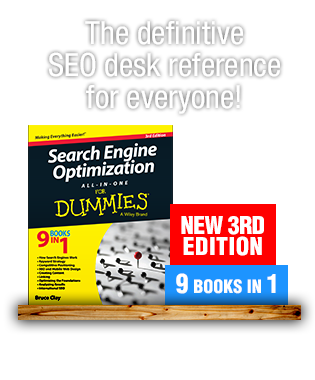 And there’s really no chance you’ll rank without being deliberate about keywords. Don’t click publish until you’ve taken a minute to check the Google Keyword Planner for phrases. Next, check the competition. I use the MozBar check the competition by looking at the page authority of the high ranking sites on page one in Google. Make sure you’re not targeting a phrase that’s unrealistic. Content marketing is NOT… based on opinions. We see you are a contributor to quite an impressive list of publications. What advice can you give on contributing to publications and how to best optimize authorship benefits? Does quantity matter? Writing for other websites is a great way to meet people, make connections, help friends, increase referral traffic, grow your social followings and yes, build a link here and there. Quality is the key. You have to be willing to give away some of your best content or you’ll never get accepted by the best blogs. As with anything, start with empathy. The blog editors are looking for quality, research, actionable advice and true insights. Why? Because this is what their audience wants! So be generous, write something great and then give it away. You may be surprised at what comes back to you. Can you share links to your top 3 favorite articles with your byline? This post didn’t get a lot of traffic, but it explains two of the best marketing tactics I know is a step-by-step approach. 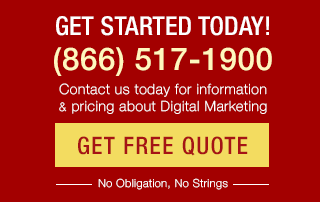 Anyone who follows these instructions will likely see better results quickly, both in traffic and conversions. Even the big topics can be broken down into simple tips. This post shows diagrams for each type of page in the lead generation funnel. It’s a quick way to check if there any any weak links in your lead gen chain. You can fix these by adding (or sometimes removing) page elements. Here’s one I wrote for Copyblogger. It’s an example of a lot of ingredients come together. It’s a universal topic, giving it broad appeal. It’s got the voice of an expert, giving it credibility. It’s got a practical conclusion, making it useful. It was very collaborative to create and to promote. That changes in Google have completely changed the game. They haven’t. I’m a MOZ user and I’m completely addicted to Analytics. I suppose that’s common. But I’m going to recommend a tool that might surprise you: the telephone. Nothing short of an in person meeting builds a stronger connection than a phone call (or Skype call or G+ Hangout). Virtually every aspect of content marketing is based on relationships and higher quality communication means stronger relationships. I talk to fellow content marketers on the phone around the country almost every day. Go ahead. Pick up the phone and dial that person who left that awesome comment on your blog. Call the guy who’s shared everything you’ve written for the last year. Call them all and say thank you. Make plans. Share. Get ideas and collaborate. Here’s an example of a local business that has fully embraced content marketing and is seeing the benefits: Jody Michael & Associations. They’re small but totally committed. The blog and the videos are right on topic. They’re creating, promoting and measuring content beautifully. Are you speaking at any up and coming conferences that our readers can meet you in person this year? Please share! Yes, I’ll be speaking at Content Marketing World and at SOBCon. We also run our own conference here in Chicago called Content Jam. Twitter, LinkedIn and Google+. I’m not a big user of Facebook. Also, I put my best advice into a bi-weekly newsletter on Orbit Media. It’s basically a 5 minute read every two weeks, so it’s not super overwhelming. Great piece Virginia. A well deserved accolade for one of the best in content marketing. He is a wonderful instructor. You bet I have him covered on the platforms (sans Facebook;).